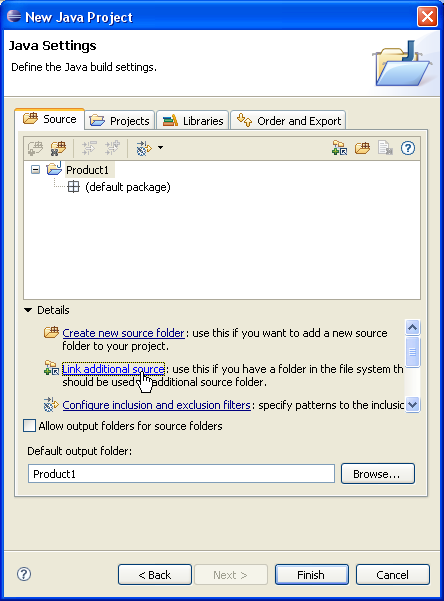 The Java source files for a product are laid out in a package directory. 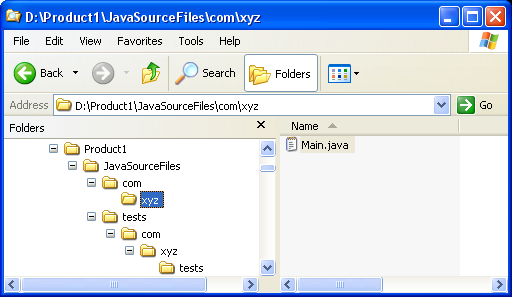 Source files of tests are laid out in a nested package directory. 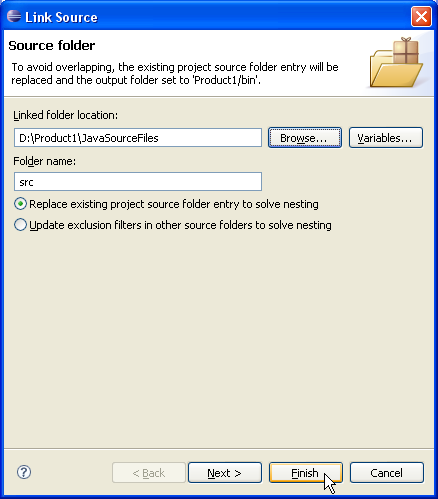 Expand the "src" source folder. 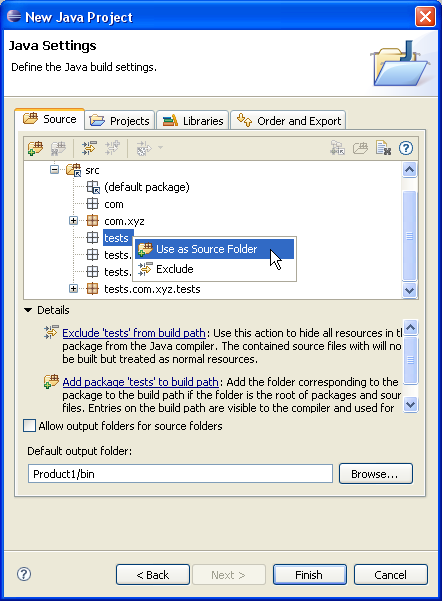 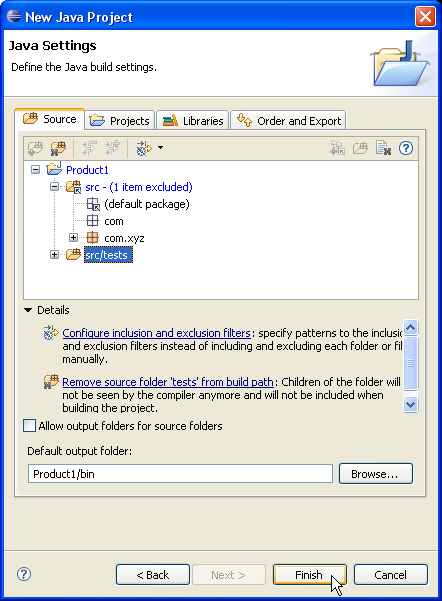 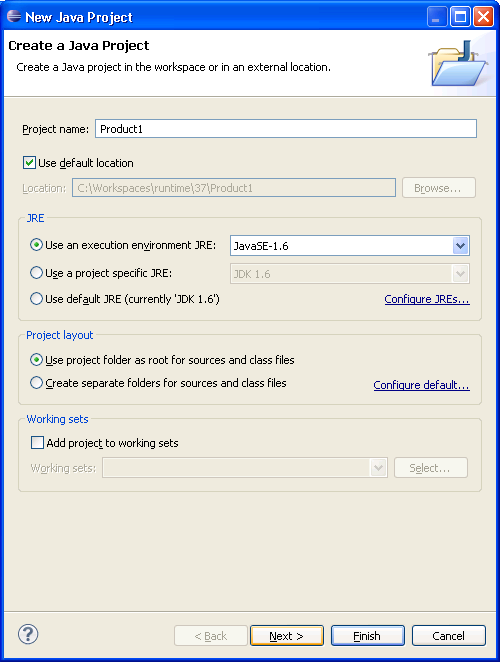 Select the empty package "tests" and set it as source folder using either Use as Source Folder popup-menu item or button in view bar. 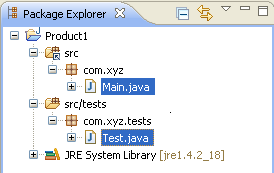 You now have a Java project with two source folders: "src" and "src/tests" which contain respectively the D:\Product1\JavaSourceFiles directory and the D:\Product1\JavaSourceFiles\tests directory.